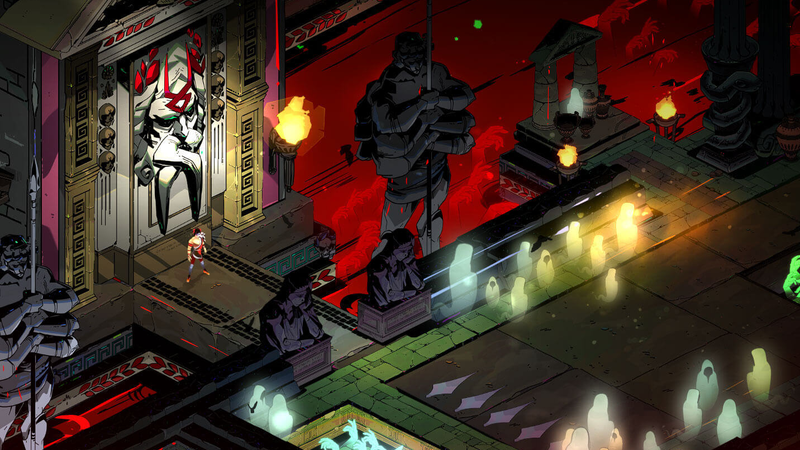 Epic Games’ new digital storefront went live last night during the Game Awards and it already has an exclusive to call its own: Hades, the latest game from the developers of Bastion and Pyre at Supergiant Games. It’s one of the reasons to give the store, which lives inside Epic’s game launcher for Fortnite, a look in the coming weeks. While Epic doesn’t have nearly the selection of games Steam does, it’s doing some interesting things that are worth keeping an eye one. The store only contains three purchasable games, so isn’t ready to knock Steam out just yet. The biggest hook for players now is that Epic will be giving away a free game every two weeks. For December that means the underwater survival exploration game Subnautica on December 14, followed by Super Meat Boy starting December 28. Services on PS4 and Xbox One as well as Twitch and EA’s Access all dole out games for the price of a regular subscription, but Epic is offering their freebies without any monthly subscription fee. It remains to be seen how good the free games offered are in the future, but Subnautica and Super Meat Boy are decent enough to start. (Combined, both games currently cost $40 on Steam). The other notable thing about the Epic Games store is its revenue split with game developers, which is closer to the generous terms of an itch.io than it is with Steam. Developers get 88% of the the money that comes in from sales of their games on the platform. That’s regardless of how much their game sells, or how big the studio is. While this selection is sure to grow, it’s clear Epic Games store isn’t going to be anything like Steam in the near future. That’s not necessarily abad thing. When it was announced on Tuesday, the store was pitched as starting as a “hand-curated” experience and I have to say, after becoming accustomed to tuning out most of the noise on Steam as I try to sift through its algorithmically-engineered lists of top new and upcoming games, it’s refreshing to just be able to scroll down a list of what I can buy. Store pages for individual games like Hades have some information and trailers but no user reviews or links to forums, newsfeeds, and lots of other features which can occasionally be useful but also overwhelming and unnecessary. While Epic has said its storefront will get things like user reviews in the future, it’ll be optional for developers and can be deployed on a per-game basis. The left margin of the storefront is reserved for links to your game library, current downloads, and friends list, but that’s it. It’s crisp and minimalistic. It probably won’t stay that way for long as it gets more crowded and ambitious. For now though, it’s frankly a nice break from the cacophony of distractions and attention grabbers everywhere else on my computer and the internet.